The Grinch, played by Jim Carrey, conspires with his dog Max to deprive the Whos of their favorite holiday in the live-action adaptation Dr. Seuss' How The Grinch Stole Christmas. Then he got an idea, an awful idea. 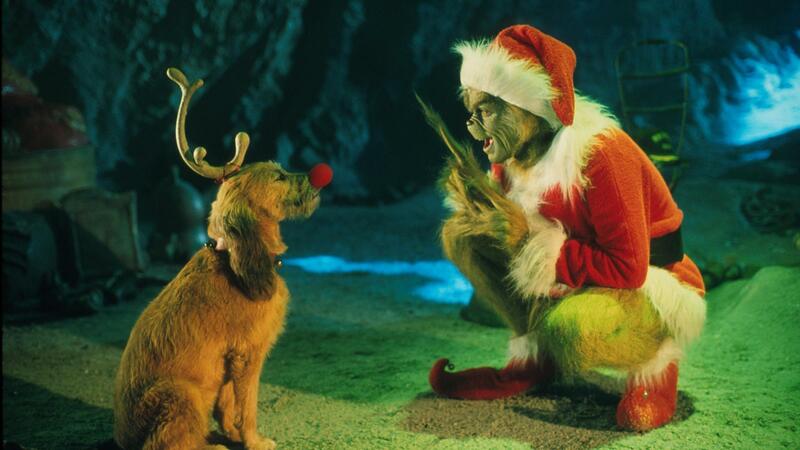 The Grinch got a wonderful, awful idea. I know just what to do, the Grinch laughed in his throat. All it will take is a few keystrokes. But of course he didn't actually muse. Because the Grinch in this case is a bot. It's automatic. It doesn't snooze. Online scammers with an arsenal of cyberbots are stealing Christmas by buying up the most popular toys of the season and selling them for a hefty markup on third-party sites such as Amazon and eBay. While the demand for the hottest toys is particularly high this time of year, shoppers are competing against a growing army of bots. For years, scalpers have taken advantage of software robots to scoop up event tickets, but now scammers are employing the same tactics to cheat Christmas shoppers, says MSNBC anchor and economics correspondent Ali Velshi. "Regular people could never buy them at face value," he tells Here & Now's Robin Young. "The idea that it was bots — scalpers using algorithms — to buy up all the tickets in the first place, and then sell them either via a third-party vendor or independently to people, and this has now moved its way into the hot holiday toy sales industry." Sen. Chuck Schumer is calling on retailers to crack down on "Grinch bots" that use complex software to identify the product page of a popular toy before it even goes on sale. The program rapidly purchases thousands of products before customers have time to buy them. Oh, the Whomanity! "Grinch bots cannot be allowed to steal Christmas, or dollars, from the wallets of New Yorkers," Schumer said. "Middle class folks save up — a little here, a little there — working to afford the hottest gifts of the season for their kids but ever-changing technology and its challenges are making that very difficult. It's time we help restore an even playing field by blocking the bots." Velshi says consumers are encountering hundreds of percent markups over retail on these products. For instance, the must-have Fingerlings, the interactive animal-shaped toys, sell at a retail price of $14.99, but have been showing up on websites for as much as $1,000. The Super Nintendo NES Classic Edition, which is currently out of stock on most sites, is being sold for nearly $13,000 by third-party sellers. Schumer wrote a letter to the National Retail Federation and the Retail Industry Leaders Association this week urging them to investigate infiltration of their members' websites by these computer programs. Both retail associations agreed to heed the New York Democrat's call. "Retailers want to ensure that items purchased from their stores and online are purchased legitimately. The industry is committed to taking precautions to mitigate fraud and illegal transactions to ensure American consumers have a safe and secure holiday shopping experience," Christin Fernandez, a spokesperson for the Retail Industry Leaders Association, said in a statement. Last year, Congress tried to block cyberscalping by passing the Better Online Ticket Sales Act of 2016, but that law applies only to event tickets. "There is simply no competition between a bot and even the most organized human," Omri Iluz, co-founder and CEO of PerimeterX, a Silicon Valley-based startup that designs anti-bot technology, told Consumer Reports, adding that bots aggressively mine thousands of sites at hundreds of times per second, preparing to pounce when a product is launched. Velshi says people should find out the retail price of a product before they begin shopping to avoid being scammed. "The problem is these bots find out things are popular before people do themselves," he says. "So by the time you've decided this is all the rage because you've heard about it from your kid's friends or from someone else, it's hard to" buy it. While avoiding the "holiday who-be what-ee" may explain the appeal of online shops, Velshi says maybe this year, consider the store to keep away from bots. 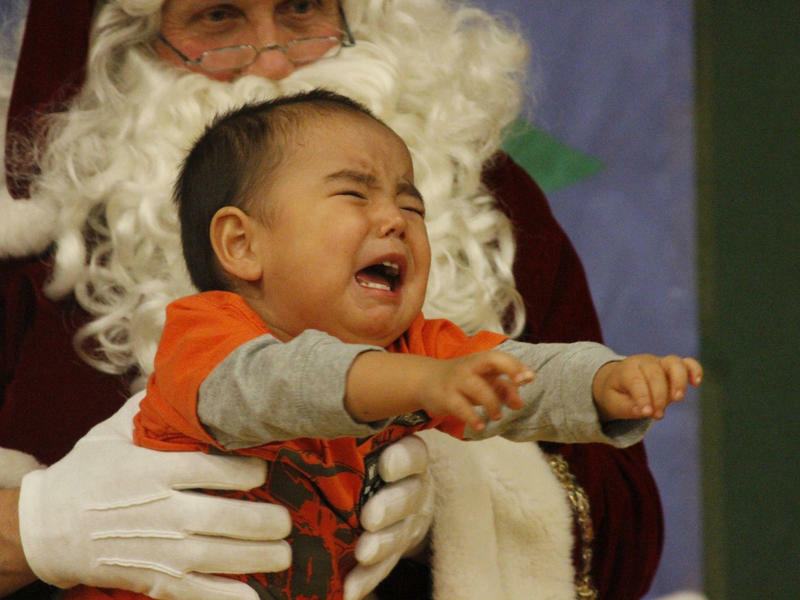 The time-honored tradition is as steeped in lore as Father Christmas himself: child nestles on Santa's knee, rattles off the coveted goodies, then a snap of the camera preserves the memory in all of its seasonal glory. Interminable lines, artificial pine and a whiskered stranger decked in red. It's more than some kids and, yes, even parents, can take.